Take a seat flanked by pillow-padded arms adorned with large nailhead trim detailing. Automotive-inspired bucket seats provide sink-in comfort, and smooth reclining mechanisms let you change angles effortlessly from an upright to a fully reclined position. 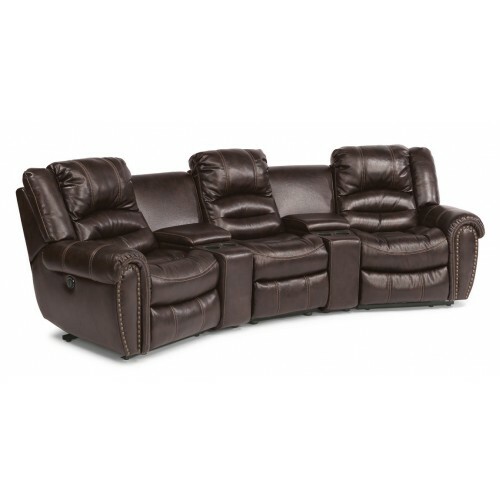 Crosstown's sectional components can be arranged into multiple configurations to fit your room's needs. Crosstown is available in the following pieces. See Fabric and Finish Options for available customization and design details.